Two years after Save The Bay’s foundational victory over Northeast Petroleum’s proposed oil refinery in Tiverton, a new threat, arguably more potentially harmful than an oil refinery, emerged. When a twin-reactor nuclear power plant was planned for construction at Rome Point, North Kingstown in 1972, Save The Bay sprung into action, rallying Rhode Island residents against the proposed facility and saving one of North Kingstown’s gorgeous nature preserves from being bulldozed over. 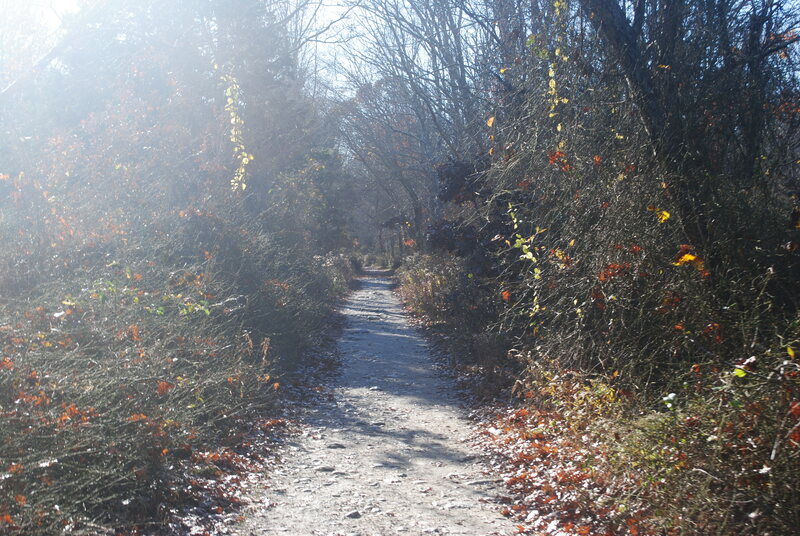 The mile-long trail to Rome Point starts at the John H. Chafee Preserve in North Kingstown. Today at Rome Point, a dusty parking lot marks the entrance to the John H. Chafee Nature Preserve. Hundreds of birds chirp a chorus of welcomes at the start of a one-mile hike to the coast. Sunlight penetrates the foliage and transforms the surroundings into a seemingly magical journey. A tunnel of coniferous trees opens the way to the end, where a hint of blue catches the eye. Into the clearing, Narragansett Bay calmly shimmers in the distance and welcomes visitors to the rocky beach of Rome Point. In the distance, the bustling Verrazano Bridge roars with traffic, but even that does not detract from the meditative sights and sounds Rome Point offers—including droves of seals that crowd the rocks in the late fall every year. Now imagine if all that was non-existent: the sandy path replaced by irradiated dirt; the birds driven away from their sunlit homes; the shoreline inaccessible to the public. Two slate-grey cooling towers, standing at 550 feet, vent clouds of steam, blocking the horizon from view and eclipsing the Newport Bridge, which only reaches 400 feet. That was all part of a Narragansett Electric Company proposal to convert about 90 acres of land at Rome Point for a nuclear power plant with a once-through cooling system. This system would have involved siphoning water from the Bay, circulating it as coolant through the power plant’s systems, then pumping the now-heated water back into the Bay. The 1.8-million-kilowatt facility would cycle a million gallons of water a minute, raising the water’s temperature by about 20 degrees before discharging it back into the Bay. According to a study by the University of Rhode Island at the time, the heated water would have caused countless environmental problems within a three mile tidal radius of the plant, including the deaths of many cold water species that cannot adapt to sudden temperature changes of that scale. The fledgling Save The Bay, led by then-board president the late Dr. William Miner, denounced the proposal and began a public awareness campaign across Rhode Island. This was a time before everyone carried a personal computer in their pockets; Save The Bay supporters went door to door spreading the news of this very real threat to the Bay and public health posed by this nuclear facility. Our advocacy against the planned nuclear facility eventually reached federal levels, and in the end, the regional office of the U.S. Environmental Protection Agency denied Narragansett Electric Company’s request, saving Rome Point from nuclear cesspool destiny. Seven years later in 1979, the Three Mile Island nuclear plant in Dauphin County, Penn. suffered a partial meltdown, dispersing radioactive gases and iodine across the surrounding region in a disaster that permanently ended nuclear power development in the United States. To this day, epidemiologists are still researching the extent of the health effects. Rome Point beach at low tide. 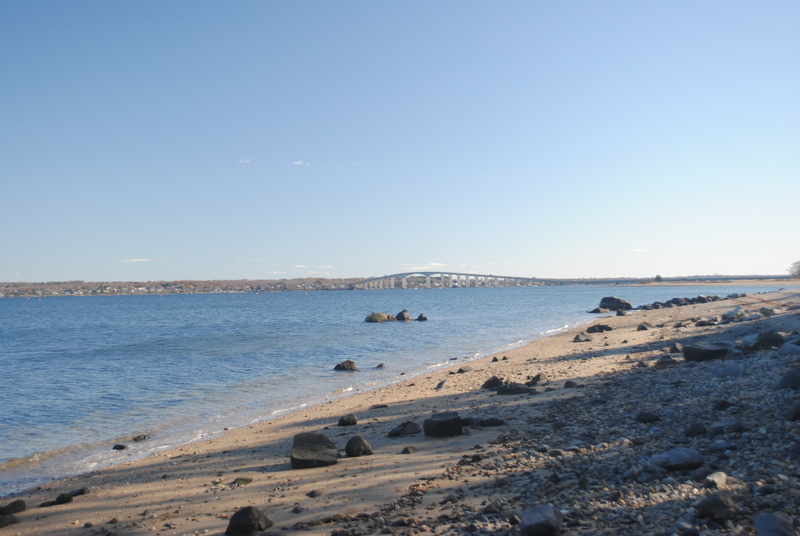 Save The Bay protects jewels like Rome Point from ill-conceived, large-scale development proposals that tip the Bay towards over-industrialization and will continue to fight for Narragansett Bay’s longevity for years to come. Not only did we put a stop to Narragansett Electric’s proposed facility and prevent hot-water discharges to the Bay, but we potentially saved all of Rhode Island from a Three Mile Island-like event.